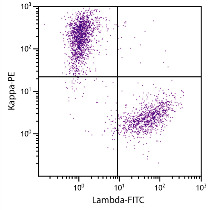 ELISA plate was coated with serially diluted Human IgA Kappa-UNLB (SB Cat. No. 0155K-01). 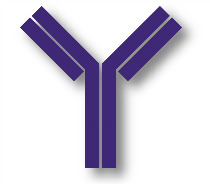 Immunoglobulin was detected with Mouse Anti-Human IgG1 Hinge-BIOT (SB Cat. No. 9052-08), Mouse Anti-Human IgG2 Fc-BIOT (SB Cat. No. 9060-08), Mouse Anti-Human IgG3 Hinge-BIOT (SB Cat. No. 9210-08), Mouse Anti-Human IgG4 pFc’-BIOT (SB Cat. No. 9190-08), Mouse Anti-Human IgA1-BIOT (SB Cat. No. 9130-08), Mouse Anti-Human IgA2-BIOT (SB Cat. No. 9140-08), Mouse Anti-Human IgD-BIOT (SB Cat. No. 9030-08), Mouse Anti-Human IgE Fc-BIOT (SB Cat. No. 9160-08), Mouse Anti-Human IgM-BIOT (SB Cat. No. 9020-08), Mouse Anti-Human Kappa-BIOT (SB Cat. No. 9230-08), and Mouse Anti-Human Lambda-BIOT (SB Cat. No. 9180-08) followed by Streptavidin-HRP (SB Cat. No. 7100-05) and quantified.